Computer generated (NANOART) giclee print - limited edition. 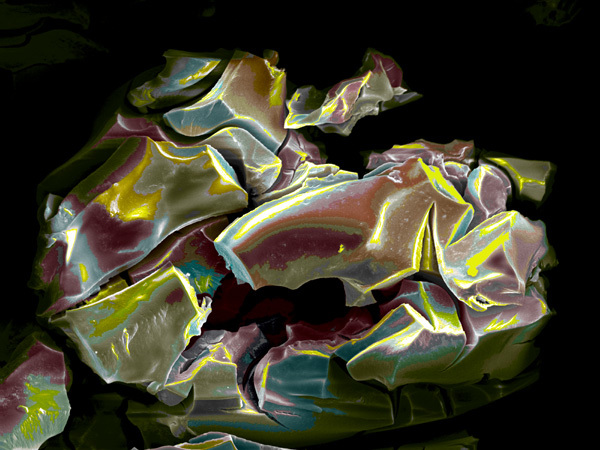 The electron microscope raw image of a nano-dimensional material has been digitally processed, computer painted, and printed with archival inks on fine art archival paper for increased print life. This artwork can be printed by request in a larger size on any fine art paper or canvas - contact the artist for details. All prints are signed and numbered by the artist.